A major supermarket in the United Kingdom has been on the receiving end of some stark criticism this week after it called on shoppers to help name its new gender neutral ‘gingerbread person’. Co-Op Food reached out to shoppers on Wednesday for assistance in naming their new creation which is expected to land on supermarket shelves in the near future. Consumers were given a sneak peak of the tasty treat, which appears to have been iced with a grey outfit, and asked to contribute name suggestions, with one stipulation, that they should not be specific to males or females. Co-op Food went on to explain the treat will be dressed in a range of different outfits and that the name will need to be relevant all year round. “The plan is to give our new gingerbread fellow some seasonal costume refreshes – a distinctively Christmassy look for December and something rather spooky around Halloween for example,” the announcement continued. However, rather than receiving a flurry of suggestions, the company came under fire for its decision to create the gingerbread person, with many claiming it’s a case of “PC gone mad”. Next thing we know it's going to be called a strawberry blonde bread person. The announcement of the gingerbread person follows news earlier this week that a high-end supermarket in the UK was forced to apologise for selling “racist” chocolate in the lead up to Easter after labelling a duck-shaped dark chocolate treat “ugly”. Major retail outlet Waitrose found itself in hot water after concerned customers claimed the store’s trio of Easter duckling chocolates – made of milk, white and dark chocolate – were offensive. According to UK newspaper The Daily Mirror, the enraged shopped wrote on Twitter:“Crispy, Fluffy and Ugly – trio of Easter ducklings at #waitrose. Ugly is the dark one on the right. 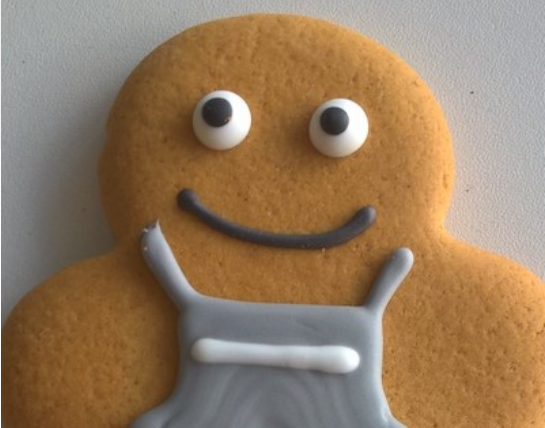 What do you think of the supermarket’s decision to create a gingerbread person? Do you think it’s a good idea or a case of PC gone mad?